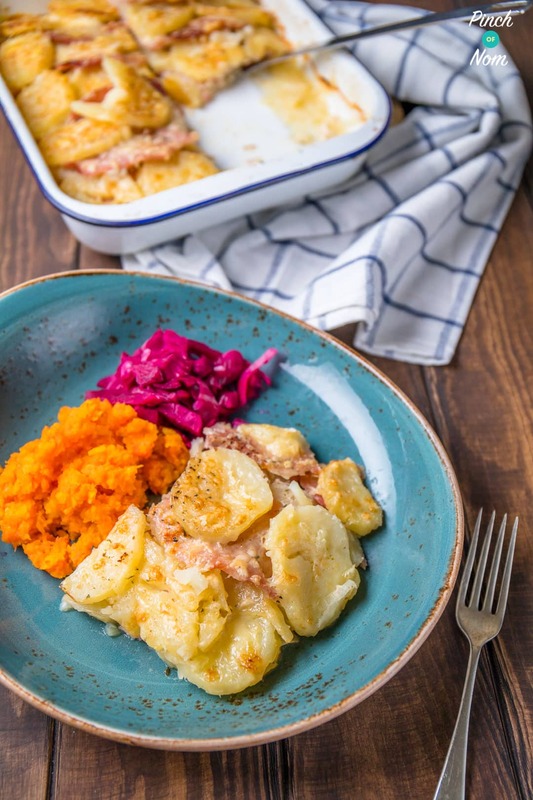 If you’re looking for a Slimming World, Weight Watchers and Calorie Counting friendly meal then this Bacon, Onion and Potato Bake is perfect! This Bacon, Onion and Potato Bake reminds me of my childhood, where it was affectionately known as “Tin Of Praters”. 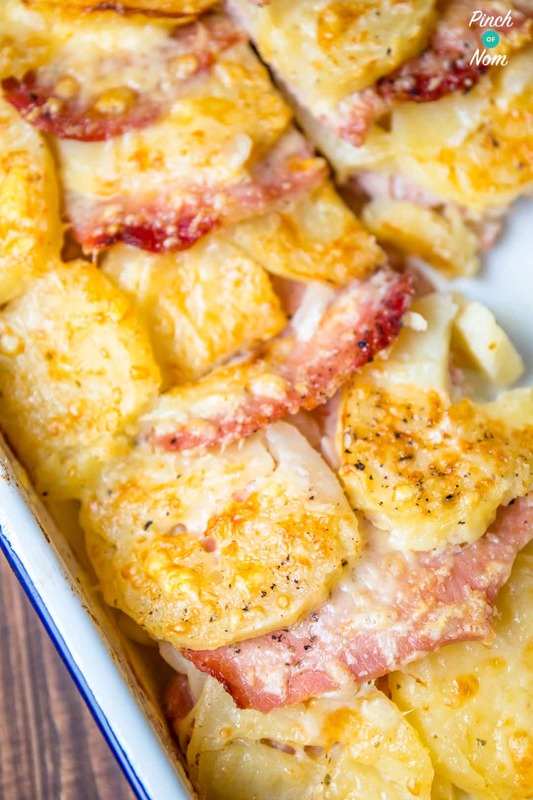 Bacon, Onion and Potato Bake is ridiculously easy to make. Seriously! We like an easy dinner, especially if we’ve had a full day of prepping and cooking. 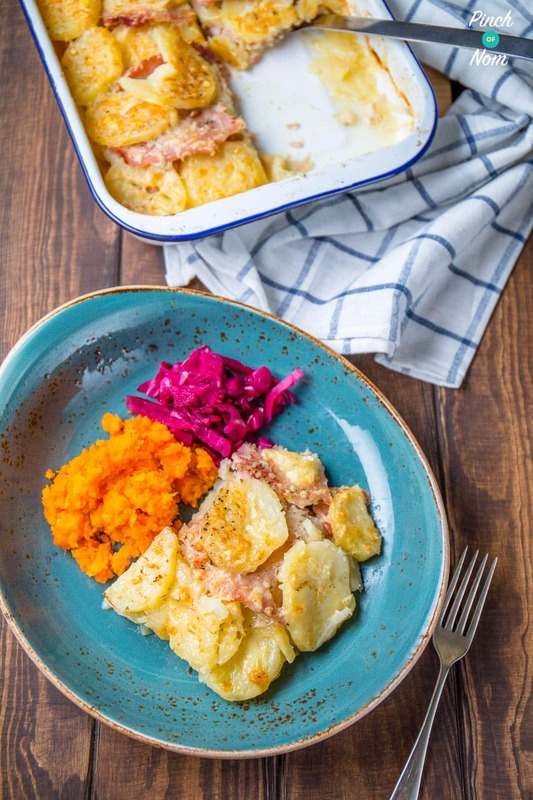 This Bacon, Onion and Potato Bake differs ever so slightly to the one I remember as a kid. There was no cheese (boo-hiss) and I used to have it with a *lot* of ketchup. Now, there isn’t much veg in this Bacon, Onion and Potato Bake so it’s really important that you serve it with some! We usually make these for Sunday roast, and eat the left overs in the week! 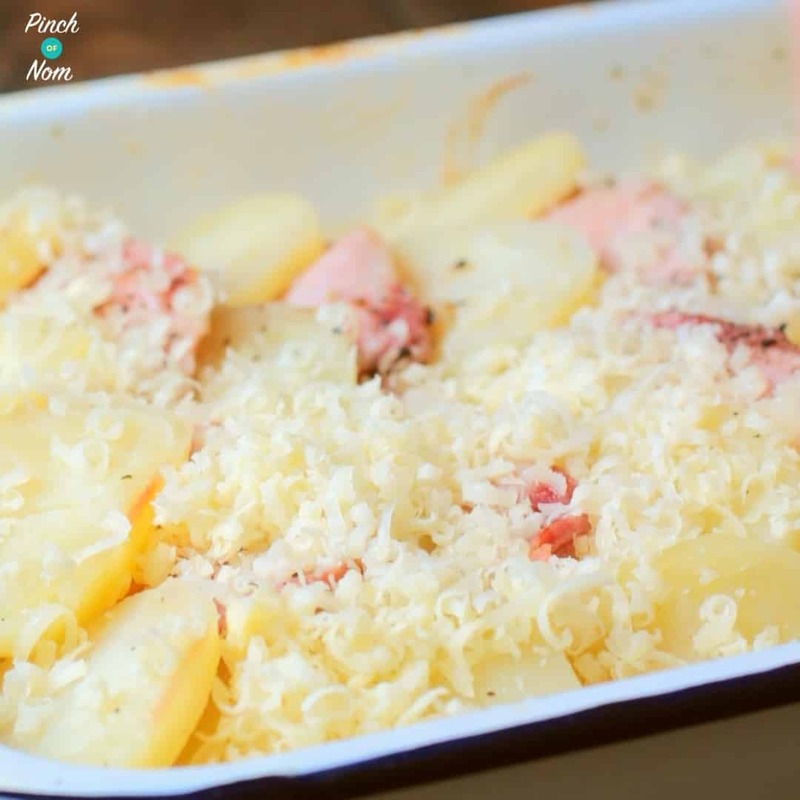 Some of you love this Bacon, Onion and Potato Bake recipe! 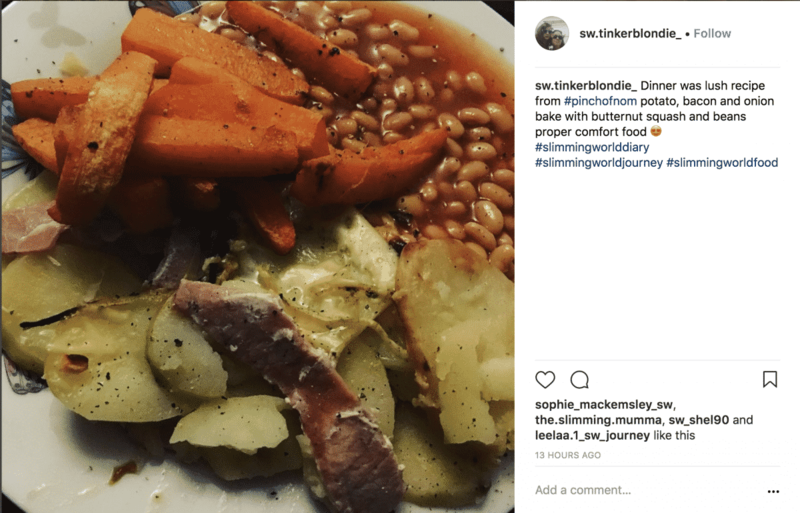 One of our Instagram followers @sw.tinkerblondie_ made this dish and loved it! Another of our Instagram followers @slimmingworldvickygalvin made this dish and loved it too! 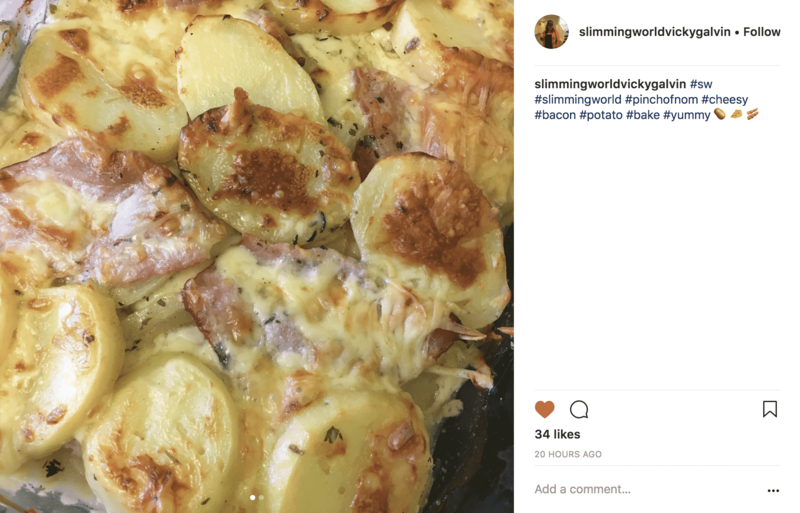 How many Syns are in this Bacon, Onion and Potato Bake? This tasty bake is Syn Free if you use 1/4 of one of your Healthy Extra A allowances! If you’d prefer to Syn the cheese, then it’ll set you back just 1.5 Syns per portion! 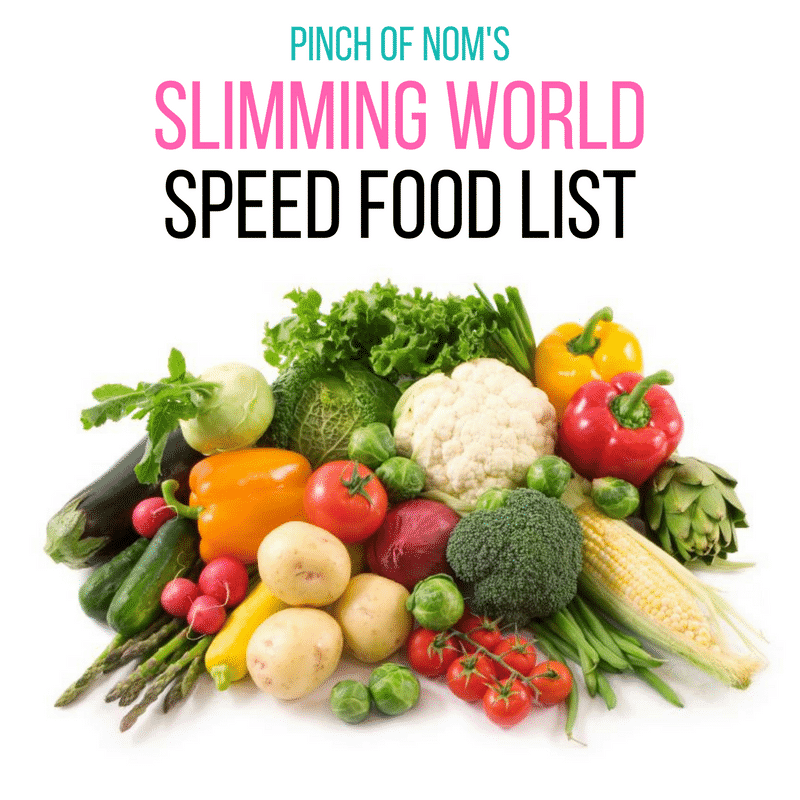 You could serve it with whatever Speedy veg you like – why not choose something from our Slimming World Speed Food List? 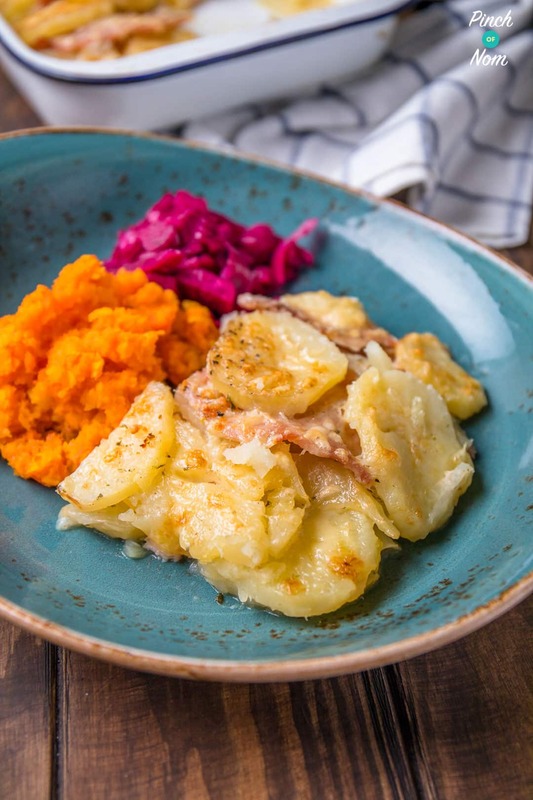 How Weight Watchers friendly is this Bacon, Onion and Potato Bake recipe? This comforting dish has just 7 Smart Points per portion! And it’s a really satisfying meal. It would work really well with some tender stem broccoli! 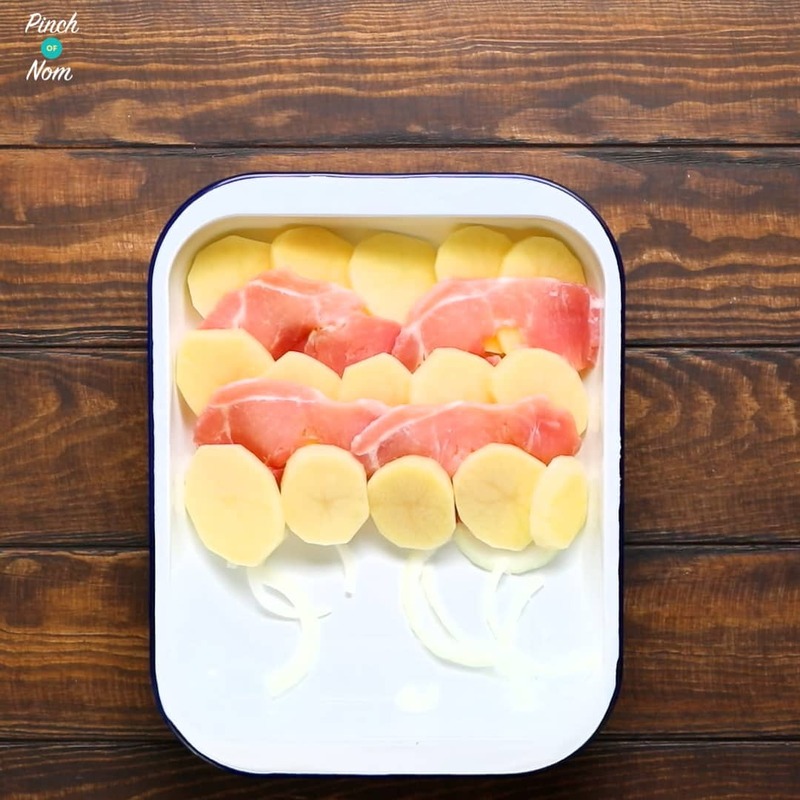 How many Calories are in this Bacon, Onion and Potato Bake recipe? You’d be forgiven for thinking this cheesy, delicious bake was really hefty on the Calorie front. Not only is it super easy to make, but it has just over 400 Calories per portion! 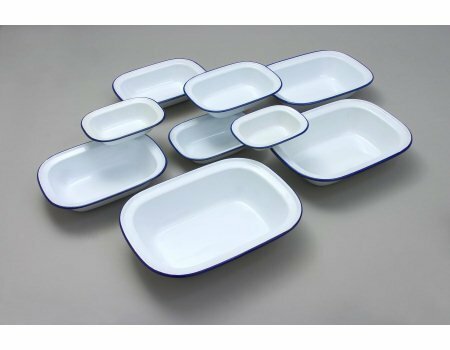 We used a white enamel oven proof dish (which surprisingly has kept nice and clean, despite it being white!). You can grab one fromAmazon here. 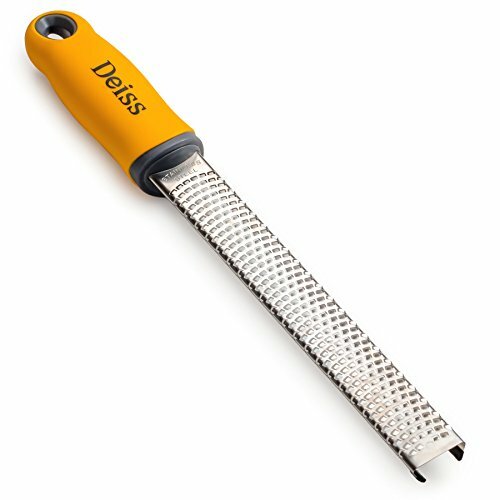 You’ll also need a fine cheese grater – it makes a small amount of cheese go sooooo much further! 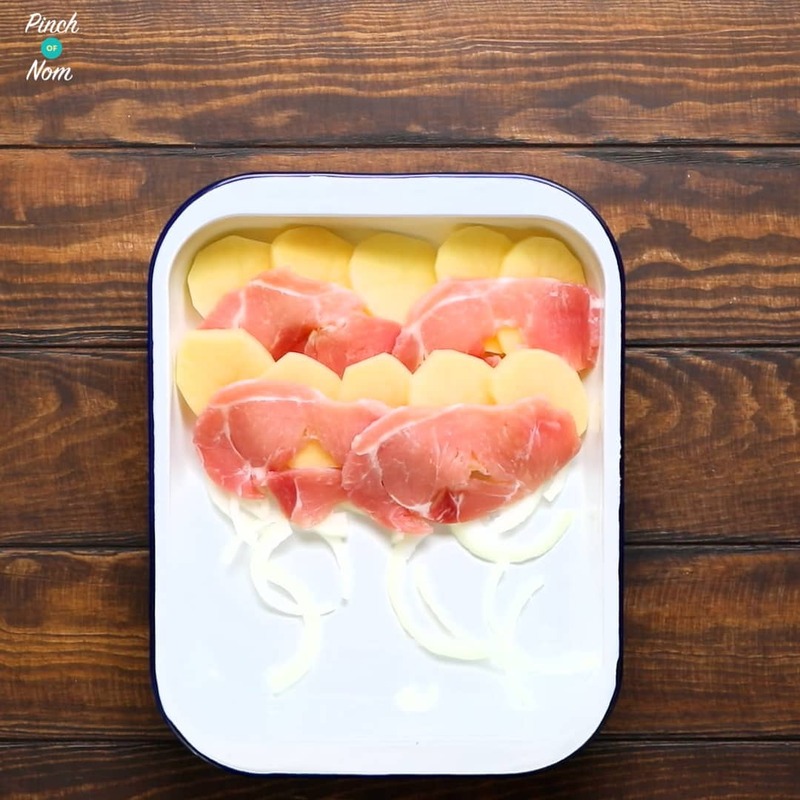 How do I make this Bacon, Onion and Potato Bake? Spray the top with a little Low Calorie Cooking Spray, then cover with foil and seal. 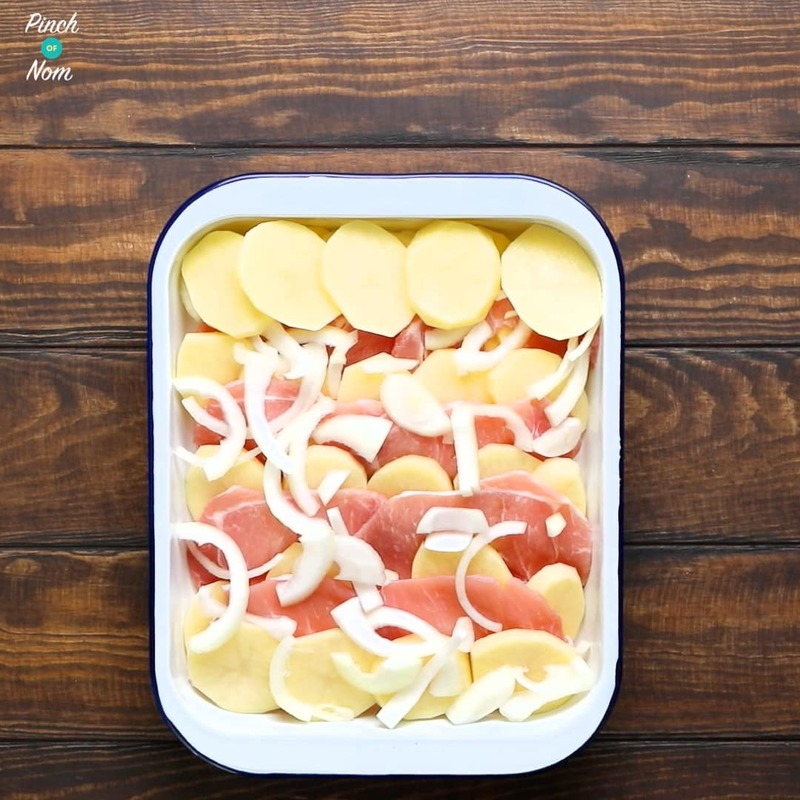 Want to see how easy this Bacon, Onion and Potato Bake is to make? Watch the video! Looks amazing Going to try it with chicken and veg for a dinner party. I am loving all your ideas on here , will make it a lot easier when I join slimming world on Tuesday . Hi. Looks lush. But don’t you have to syn the cheese? Thanks. It doesnt say what stock and how much does anyone no ? Hi. This looks like a great meal to have on freezer. I think I would cook it, freeze? Then defrost and reheat adding cheese for last 10 mins. Or could I add cheese before freezing? Thank you very much. Just made this had spinach and mushrooms needed using up, so put bed of spinach in bottom and mixed in the mushrooms, can’t wait for it to bake and eat it!! Do you think you could do this in the slow cooker? You could do this recipe in the slow cooker, but the cheese topping won’t work in there. Let us know how you get on if you try it. Really enjoyed making it ,made it for a food taster at slimming world last night and it went down really well . You could par boil in the stock. Going to try this today it looks yum. Will let you know how i get on . Thank you for this recipe! It’s delicious. We had it with chicken and veg. Will be a new weekly addition to the menu in my house! Due to the baked nature of this dish, I don’t think it would work in the slow cooker – but it is super easy to make and pop in the oven! By putting the recipes on the website, it’s easier to us to update the values in the event of a syn change with any of the ingredients. The potatoes will have absorbed the stock as they cooked, so they’ll be full of flavour. There will be some stock that remains in the dish, but it’s important that the liquid doesn’t dry out whilst it bakes in the oven. Hope this helps. What have I done wrong? After cooking for an hour & 25 mins the pots are still not cooked through and there’s loads of water in the bottom. Help! 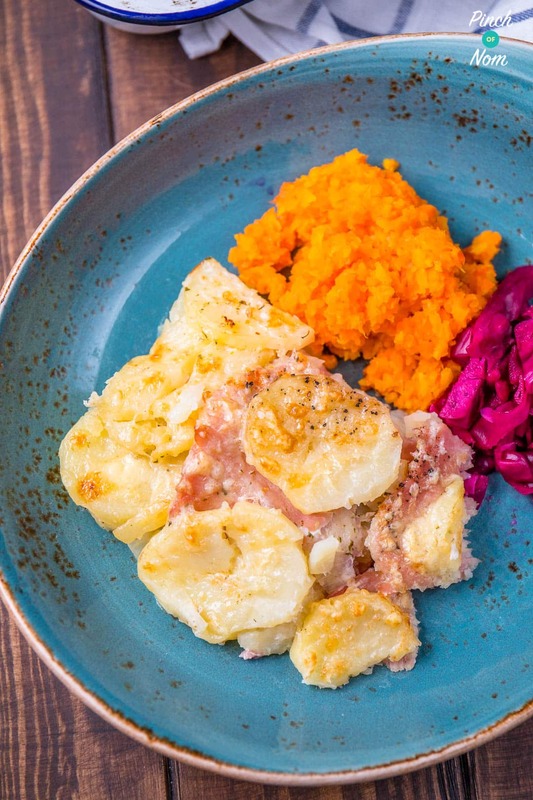 This is a really tasty potato dish. Very easy to make and you could eat it with meat or fish and other veggies. Thanks for your comments. So glad you enjoyed it! Thanks for commenting. Great idea to add the leeks – bonus speed veg! Absolutely delicious.. only thing different I did was par boil the potatoes and it worked a treat. Thanks for your comments, it’s a family favourite in my house too! There are no meat dishes here. I’ve just checked them all. Hi, I have diverticula disease and cant eat onion, garlic, sweet corn, baked beans, anything with seeds in it. Any ideas as to what i could use in place of the onion? Many thanks. You could try leeks? 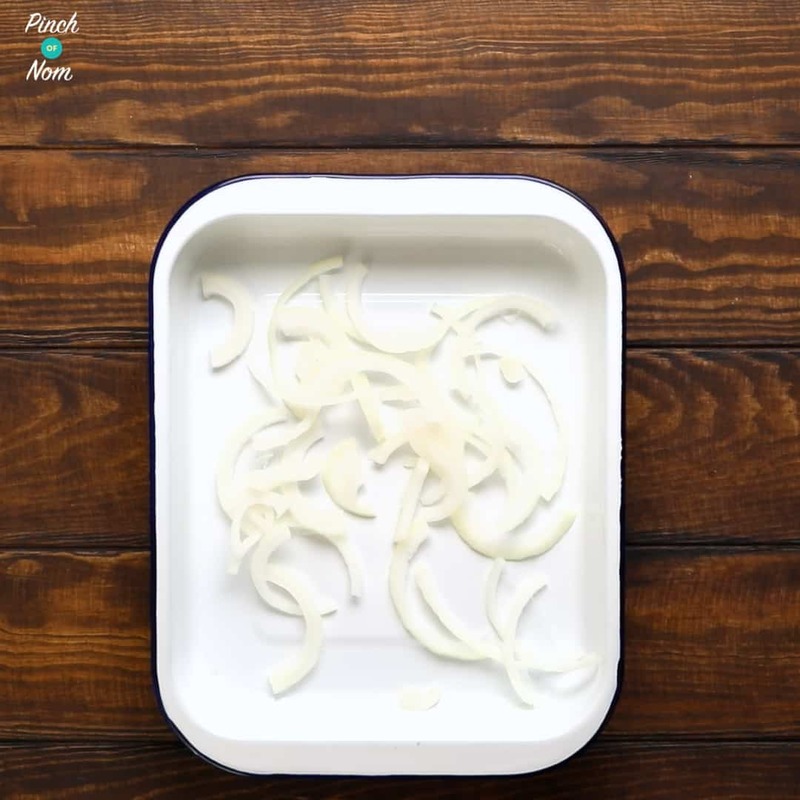 Are you able to use onion granules? You could add a tsp of those if you can tolerate them. If not, perhaps add herbs instead? I’m sorry to be a bit vague! You do need to slice the potatoes quite thinly, and it’s important to cover tightly with foil too, as this allows the potatoes to steam. When adding the cheese do I need to cover with foil again or leave without plz?? I tend to cook it for the recommended time still covered in foil, then uncover, add the cheese and cook until the cheese has browned on top. I made this yesterday as a side dish for our Sunday dinner and it tastes so good…I kept going back for a sneaky taste and even finished it off not only for lunch but for tea too today. I will definitely be making this again (soon). Thank for this great recipe. It can depend on the variety of potato – try to go for a more ‘floury’ potato, rather than a waxy type. You need to ensure the potatoes are thinly and evenly sliced and that the foil lid seals tightly so that potatoes steam in the stock. There will be some stock that remains in the dish. What sized tin do you use for that amt of ingredients please? Think I may try this with sweet potatoes, leeks, onions and carrots in place of the bacon. Will go down VERY well with some fish I had planned for tonight 🙂 Thanks! Sounds tasty, Dawn! Let us know how you get on! Thanks for getting in touch, Margaret! Made this for tea this evening. It was good, but we had to drain lots of liquid before I could add the cheese. Any tips as to what went slightly wrong please? What stock is used? And how many mls ? Can you make this in slow cooker? Thinking it might be an easy meal to return home from work to if left in slow cooker? Hi, when adding the stock do you cover the ingredients in total? I’m reducing the recipe by half and using a smaller dish so want to check before I either drown the ingredients or don’t use enough stock. 😆 Thanks. I made this last time using Onion mixed with a leek, sweet potato, carrots in place of the Bacon, and a vegetable stock cube. Turned out to be so so yummy. 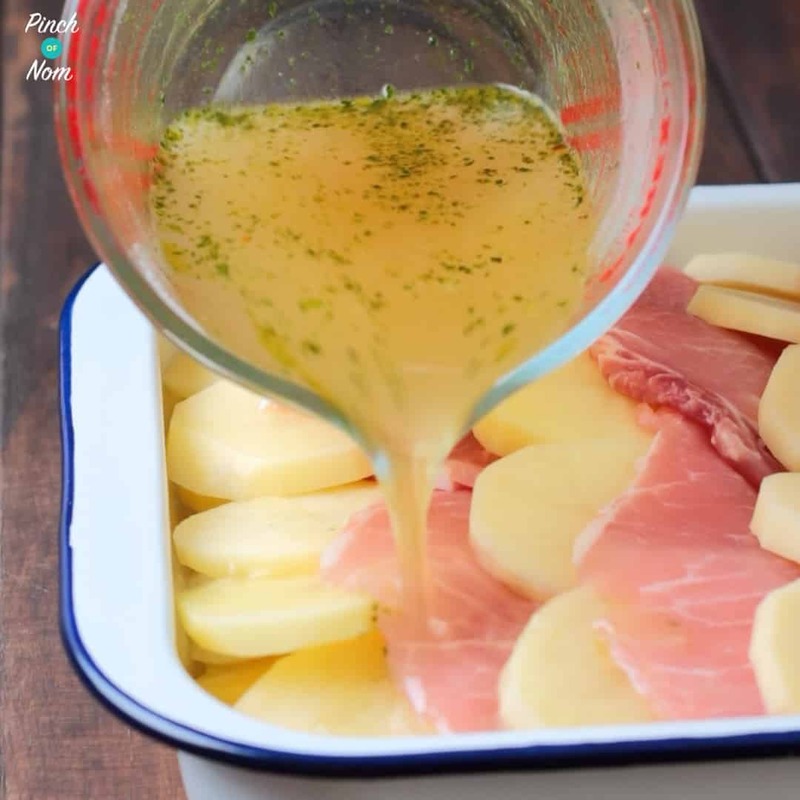 I’m planning on making it exactly the same again tonight, using white skinned potatoes instead of sweet, and a chicken stock cube to go with some chicken breasts my fiance took out of the freezer last night. For the people who are struggling with cutting their potatoes thin enough, I would HIGHLY suggest investing in a Mandoline. It sliced my potatoes and carrots paper thin, which meant I was able to layer them up even more. Absolutely fantastic recipe, and has become a firm favourite in our home! Can you make this in smaller batches? I.e for one person? Would it not take as long to cook??? 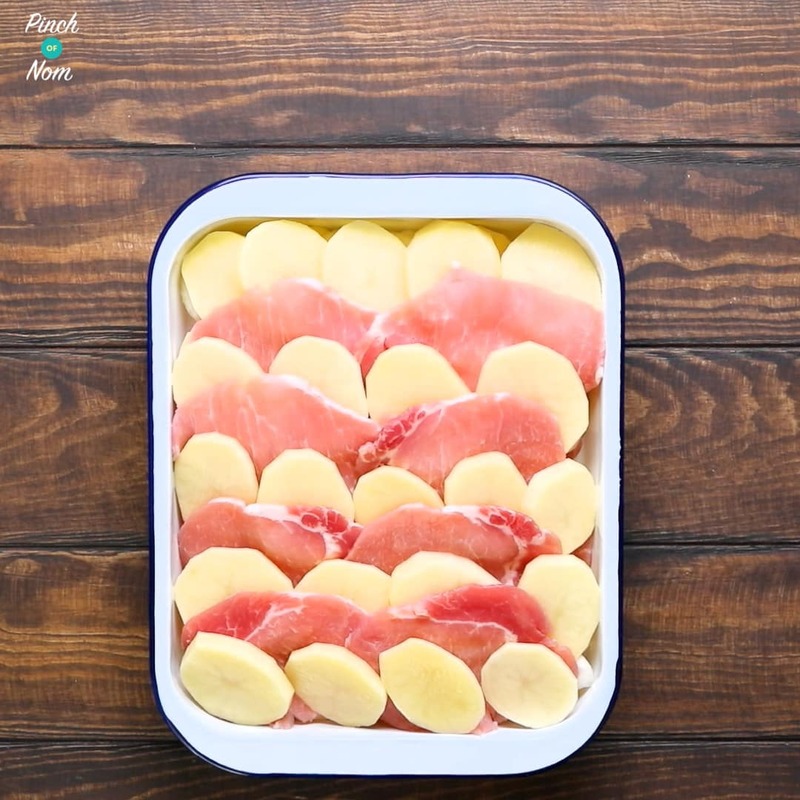 Yes, you could make individual portions, you may need to adjust the cooking times slightly, but the potato will need that cooking time to absorb the stock and cook right through. What is “syn free bacon”? Looks very yummy. Cannot wait to try it. So glad you enjoyed it, Shelley. Thanks for getting in touch! I cooked this for myself and daughter. And we both loved it . I always leave the potato skin in (after washing of course) for added fibre and vitamin B. This has become a popular family main/side. It’s best to use a potato suited for mashing, as the waxy (roasting) potatoes don’t absorb enough stock. Have made this before and when the cheese mixes and melts with the remaining stock it is soooo good. I’m making it tonight but using spring greens and onions instead of bacon to see if it will make a nice veg version. Also going to use a little Parmesan instead of regular cheese as you don’t need as much to reduce syns. I’ve had my hex a for today! So many dishes have regional nicknames! It’s really interesting to hear about them. When you join after Christmas, you’ll receive a new member pack, which contains your handbook and lots more information. Your consultant will introduce the plan and explain it to you in detail. HEA is a Healthy Extra A choice. The A choice is for a measured amount of cheese or milk to provide calcium. 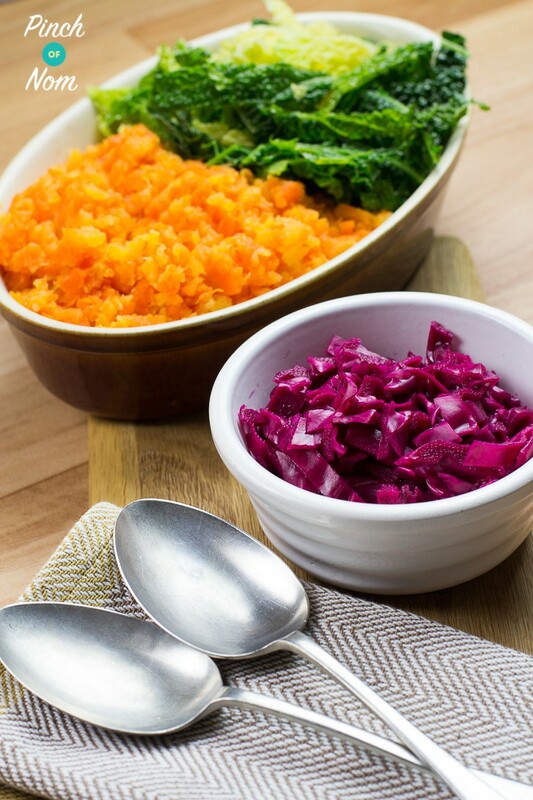 You also get a Healthy Extra B choice (HEB) which provides a specific amount of fibre. Hope that helps! Made it today, it was lovely apart form being far too salty. I didn’t add any salt, I used a low salt stock cube but it was still far too salty, I think it must have come from the bacon. Does anyone know where you can get reduced salt medallions please? Wow! Delicious. Just tried it. Real comfort food. Hi done this today it was beautiful perfect with a nice salad x can I put leftovers in the fridge?